This dystopian almost Kafkaesque novel was first published in 1968. It is not an easy book to get through (even though only 158 pages), yet many of its readers have praised it very highly, regarding it as a classic in the sci-fi genre. Disch surfed into the sci-fi scene on the crest of the New Wave; this so-called movement had several strong advocates, among them Brian W Aldiss, Michael Moorcock, Harlan Ellison and J.G. Ballard. New Wave attempted to go beyond the usual tales of rocket ships, robots, time travel and telepathy, or if it did use these motifs, they’d be used in a different way; the old taboos were ditched – notably the use of swearing and ‘adult’ themes were tackled. Writers tended to examine ‘soft’ science more, and investigate ‘inner space’ rather than outer space; indeed, in this book Disch refers to ‘inner space’. Disch was an atheist, a poet and gay though he said he didn’t write ‘gay literature’. Why mention his sexuality? Because some reviewers have accused him of homophobia in this book! It’s the future (as seen from 1968) and man is on the moon and a war is being waged with nuclear and bacteriological weapons. 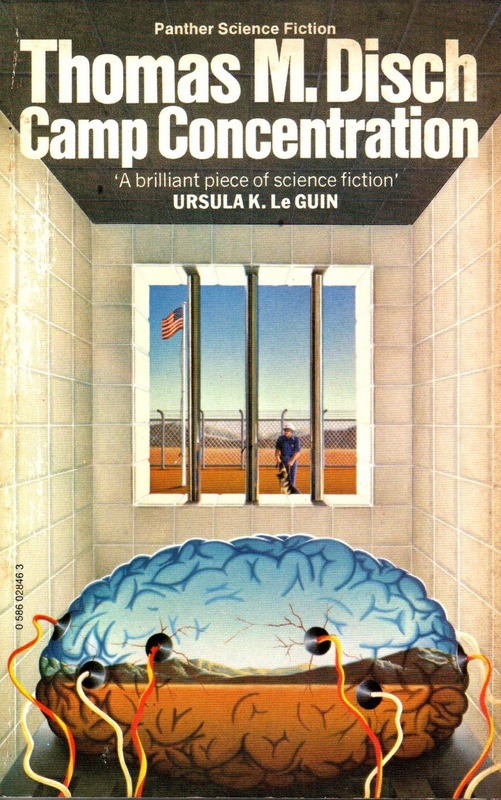 In an attempt to boost the inventive powers of their armaments researchers, the US Army experiments on a group of prisoners in an underground facility. They intend to raise their brain power to genius level by injecting them with a strain of syphilis that’s known to achieve this end; unfortunately, it also means they will die within nine months from the disease. [I've left out the rest as they're spoilers]. As you will have gathered, it is a black comedy; it's also a dystopian moral fable, a criticism of the Vietnam War, a criticism of religion and a diatribe about distrusting government. Sacchetti is interviewed by a female psychologist, Dr Aimée Busk, of whom he states: ‘She desired not argument but, like a picador, simply to wound.’ The bull-fighting allusion continues further down the page (p82). Some of the inmates, stretching their genius muscles, get involved in alchemy, and the fourteenth century advocate Nicholas Flamel is mentioned (the discoverer of the philosopher’s stone). Much of the narrative is philosophical, interspersed with clever word-play and literary and artistic references, and dark humour. The Faustian parallels are evident. The clever twist ending is gratifying, though whether the world can be saved is another matter. Disch committed suicide in 2008, aged 68. It’s a literary work, alluding to classic literature, the Bible, opera, drama and even Edgar Rice Burroughs’ fictional hollow earth, Pellucidar (p17). Disch intended to write what pleased him and took no prisoners. I do wonder that as a result of this paranoid prisoner tale being published that he was approached to write The Prisoner novel (1969) [republished as I Am Not A Number]. The disconnection with reality, the idea that isolation can reveal or perhaps subvert truth provides fertile ground to plant seeds based on the legendary TV series. There’s an overabundance of abstruse vocabulary that the average reader will not know, me included (though I’m impressed to note that the Word dictionary recognises some: orthoepy (at least he explains this one – the study of correct pronunciation). Here are a few other words he drops in: opsimath (‘one who begins to learn late in life); perfervid; hypogean daedal; cornua; emulous; farctate; agnoiology; chthonic; epiphanous: there are others I failed to note. Anthony Burgess used to revel in using a rich vocabulary, but I suspect Disch outdid him in this novel. There are too many characters whose names begin with the letter ‘S’: Skilliman, Schipansky, Sacchetti himself, for example. 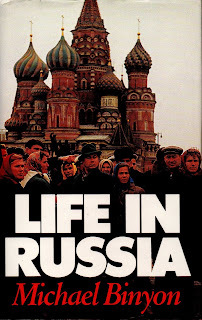 Michael Binyon’s view of Russia, published in 1983 is useful for my research purposes, as I certainly wasn’t able to go there at the time (since I was serving in the RN). Binyon was a correspondent for The Times 1978-1982. Naturally, since the wall came down in November 1989 and the USSR dissolved in December 1991, much has changed. Yet the people are probably not that different now. The book is written with genuine warmth for the Russian people. He uses the term ‘Russian’ to simplify the fact that the USSR is a vast mixture of countries, cultures and ethnic groups. Some of the statements are prescient, though at the time of writing Binyon never conceived the breakup would occur. ‘The Soviet Union is a world of its own. But it is a world its rulers ever fear will fly apart into disparate fragments unless they keep a very tight grip.’ (p4) Here and elsewhere, with hindsight you could easily substitute the European Union to observe strong parallels! ‘Not one of the estimated 130 million Soviet trade unionists has ever gone on strike.’ (p27) One has not to wonder why. In 1977 a number of sacked workers got together to form an ‘independent’ union. The KGB exiled the leaders from Moscow, questioned, harassed, arrested and sent several to psychiatric hospitals. Three years later, the rise of Poland’s Solidarity movement caused Brezhnev to launch an attack on union officials for laziness and indifference to their members’ needs, turning the union leaders against their unions, using the unions to police their members in effect, for the communist cause. This was typical Russian double-think. The union can be a deadening influence, stifling innovation, free thinking. ‘The task of the officially organised unions of artists, writers and musicians is not to promote their members’ interests, but to ensure their members stay in line.’ (p113) ‘All land in the Soviet Union is nationalised’; people can own homes, but not the land. I was also interested to read: ‘The Academy of Medical Sciences has long been carrying out full-scale research into para-psychology, telepathy and bio-rhythms, a favourite topic of popular scientific journalism.’ (p53) See my earlier blog posts on Soviet psychic research. Drunkenness was a big problem and accounted for absenteeism and accidental deaths, and marital and family breakdown. ‘In the Ukraine, several mines run daily checks for inebriation among the miners as they report for work. Traffic police have also urged tougher penalties for drunken driving, which is already severely punished, and in recent years a number of people causing fatal accidents while drunk have been shot.’ (p63) Severe punishment indeed – but did it reduce the incidence of drunk driving? The book doesn’t say – and doubtless statistics were not available. The Russians are avid readers, though found it difficult to get their hands on books (other than official tracts, presidential speeches and the like. I can’t imagine poets filling Wembley Stadium, yet Poet Andrei Voznesensky gave a reading to 80,000 people in a football stadium. ‘His latest collection was published in an edition of 200,000 and sold out immediately.’ (p109) Sales to dream about, indeed! Voznesensky would retreat to the Georgian village of Peredelkino, south of Moscow. This is the official writers’ colony. Pasternak lived here for many years and is buried in its cemetery. Binyon spotted a man in a grey raincoat standing near the monument (to Sergei Yesenin, poet, Isadora Duncan’s lover); the man took off his hat and recited some of Yesenin’s poems. Others present clapped. This echoed in my mind – scenes from Fahrenheit 451. ‘From travels in nine different republics, my impressions were strongly reinforced that the diversity and variety is such that no amount of centralisation can mould a single type of ‘Soviet man’, even if that were the aim – which increasingly is recognised as unrealistic.’ (p206) Homogenising people doesn’t work – they have their culture, belief systems, traditions and history. Another example comes from Latvia: Russians, Ukrainians and Belorussians flooded into Riga because of the higher standard of living, and brought Russification in their wake. When the non-Latvian population reached 800,000 out of a total of only 2,500,000 in all Latvia, further immigration was stopped.’ (211) Freedom of movement within the USSR (by party pressure) created an immigrant crisis. This is a fascinating and thought-provoking book, a glance back in time, when the Cold War was thawing then heating up, as East and West attempted to accommodate the other, neither side wanting more global conflict. The Soviet Union could not sustain its vast empire and it took the realist Gorbachev to understand that. What followed was another completely different ball game – but throughout the period, from the time of this book to the present, the Russian people have found the changes in their lives bewildering and unsettling. Certainly, the independent states seem keen not to go back. Happily, they aren’t, either (5-4 stars – 74% of 50; 3 stars – 16%; 2 stars – 10%!). 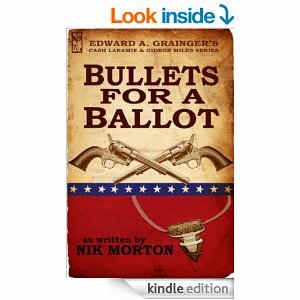 I thought I’d mark receiving the 50th review on Amazon COM for Bullets for a Ballot with a brief post here, thanking every one of the fifty reviewers who took the time to offer their opinion on the book (published March 2012). 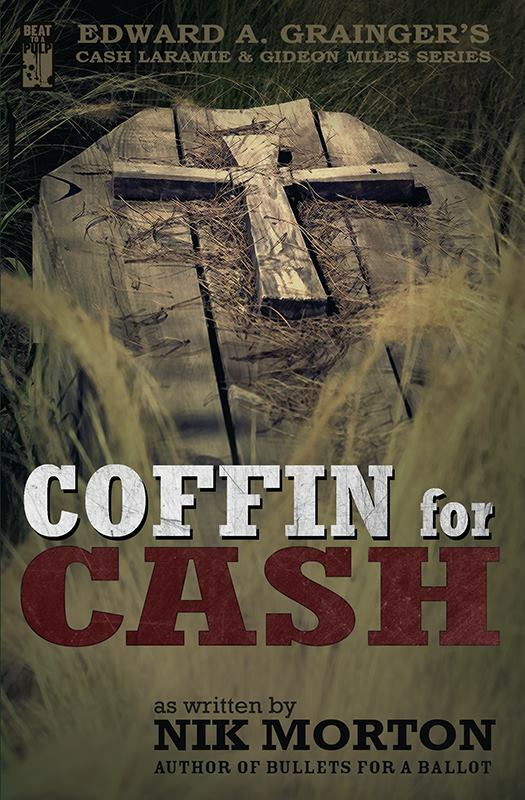 And, in response to the latter, I can offer Coffin for Cash (published May 2016). 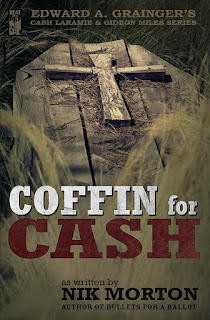 Bulletsfor a Ballot was #5 in the Cash Laramie & Gideon Miles series. Reports of the death of the printed book have been greatly exaggerated, it seems. Physical book sales have increased by just over four million this year, fighting back against the digital revolution. Last year saw the first rise in print book sales since 2007, while digital book sales dropped for the first time since 2011. The main attractions are the ‘feel’ of a ‘real’ book, the urge to satisfy the need for collecting, and the convenience, not having to worry about batteries. This latter I can sympathise with since my Kindle died on me and I won’t be replacing it until we move back to the UK (some time in the future!) Another draw is that people tend to spend so much time with computers, phones and tablets that savouring a physical book can be a blessed relief. Not surprisingly, children's print books have generally continued to sell well, as have cookery and (very surprisingly) colouring books. According to a recent report, so far this year 85 million printed books have been purchased - 4.3 million more than last year. Yes, there’s a place in our lives for both formats. Let’s just celebrate books. We all get them - cold callers. Just doing their job. Probably, but with little initiative. How short a list of phone numbers do they possess? Always using the same ones? Even here in Spain we get more than seems reasonable. I've lost count of the number of times I've been asked if I have a pet as this is the first survey in Spain... The first? Over the space of several months? I don't think so. We don't have a pet (been there, done that). But we have a few pet hates - and cold callers are in that list. A long time ago while in the Royal Navy, one of my fellow submarine drafting staff sometimes answered the phone: 'War Office. Wanna fight?' Invariably, he hung up fast. (He served in the days before the War Office became the Ministry of Defence). There are several responses to make to these callers, particularly when the same shower do it time and again. One day a cold caller was ostensibly from Microsoft Windows (scammers, all). 'How do you people sleep at nights, trying to scam people?' I hung up. 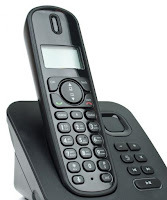 Yesterday, the cold caller got short shrift: 'Get off the phone! Do not use this number again. I'm getting annoyed!' He hung up. CC: Do you speak English. Me: Of course I do, I've just said 'hello', haven't I? Who is this? Me (cutting in): You do realise this is a classified line? You will be under investigation for using it. An old review referenced on Wikipedia! Feel the heat but it's no holiday!